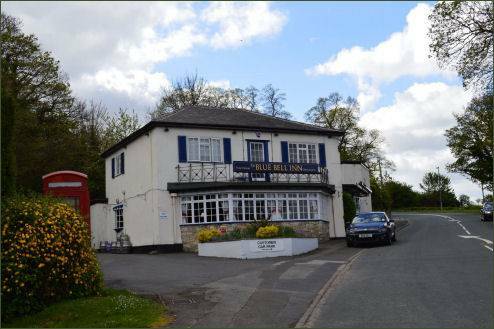 The small and ancient village Wentbridge lies around 3 miles (5 km) to the south east of the town of Pontefract , and at the heart of the Went Valley, on the northerly edge of the vale of Barnsdale. Wentbridge believed by many to be the home of the legendary medieval outlaw Robin Hood. 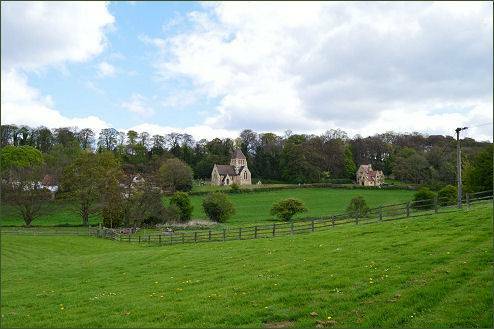 The village developed as a staging post, in the middle ages Wentbridge was sometimes referred to by the name of Barnsdale because it was the main settlement in the medieval Forest of Barnsdale. Nearby is Ermine Street, a Roman road which follows the course of the modern A639. The village stands on the River Went, from which it derives its name. Several landmarks relating to Robin Hood stand within close proximity to Wentbridge. 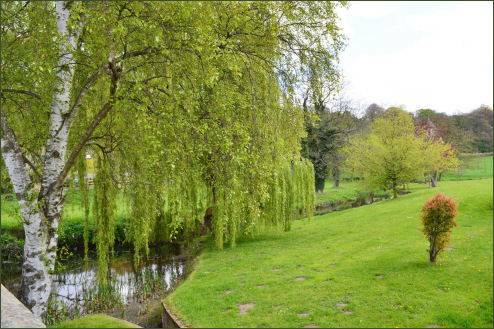 The earliest recorded place-name reference referring to Robin Hood occurs in a deed of 1322 from the two cartularies of Monk Bretton Priory, near the town of Barnsley. 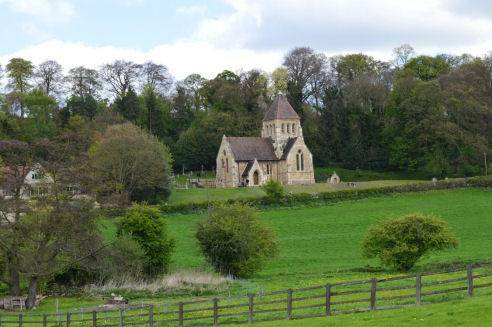 The Latin deed mentions a landmark named 'the Stone of Robert Hode', which was located in the Barnsdale area. It once stood was on the eastern side of the Great North Road, a mile south of Barnsdale Bar. 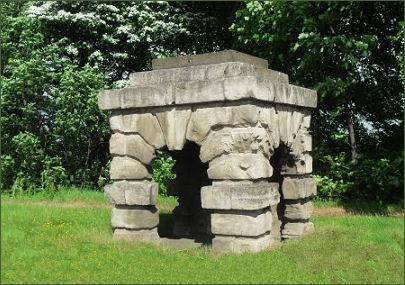 Robin Hood's Well (pictured left) is situated on the east of the southbound carriageway of the A1, just south of Barnsdale Bar. 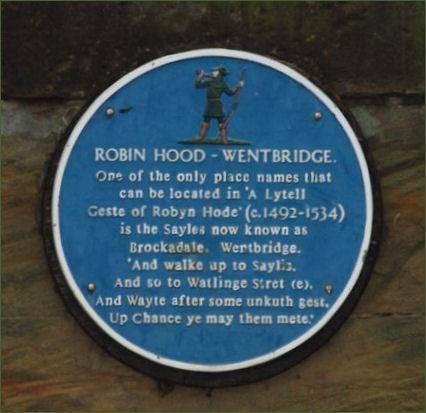 English Heritage have placed a blue plaque on the bridge across the River Went, which recognises Wentbridge's claim to be the original home of Robin Hood. The bridge was once an important crossing on the old Great North Road from London to York and Edinburgh. Wentbridge is mentioned in what may be the earliest surviving manuscript of a Robin Hood ballad, "Robin Hood and the Potter"- "'Y mete hem bot at Went breg,' s(e)yde Lytyll John" ('I met him but at Wentbridge', said Little John). Though Wentbridge is not specifically named in the medieval ballad "A Gest of Robyn Hode", the ballad does appear to make a cryptic reference to the locality by depicting a friendly knight explaining to Robin that he 'went at a brydge' where there was 'a wraste-lyng' (wrestling). The nineteenth century antiquarian Joseph Hunter identified its likely site, a small tenancy, of one-tenth of a knight's fee, located on high ground 500 yards to the east of Wentbridge. The high ground which overlooks the area rising 120 feet above the flat terrain, was then known as Sayles Plantation. From this location it was possible to see across the whole of the Went Valley and observe the Great North Road. 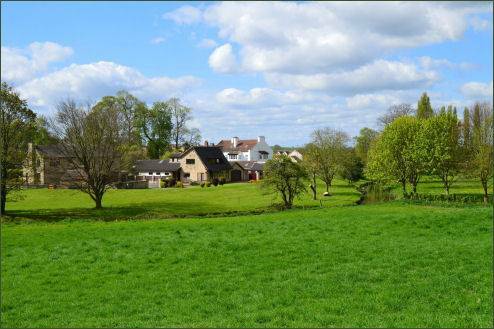 The Anglo-Saxon Battle of Winwaed which was fought fought on 15 November 655 (or 654), is said to have taken place between Wentbridge and Ackworth where what is now the A639 crosses the River Went. The battle was a pivotal event that decided the religious destiny of the English people. The most powerful pagan king in seventh-century England, Penda, was defeated by the Christian Oswiu in 655, effectively ending Anglo-Saxon paganism. after Penda's death, Mercia was converted, and all the kings who ruled thereafter (including Penda's sons Peada, Wulfhere and Æthelred) were Christian. 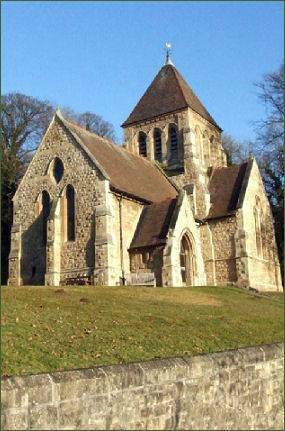 A mediaeval chapel south east of the river Went provided hospitality to travellers from 1030 to 1530AD. The present village church (pictured above left), which overlooks the valley of the River Went, dates to 1874. Local legend states a tunnel links the Church with the Wentbridge House Hotel, which was converted from an old hall. The village contains one of the then largest viaducts in Europe which crosses the Went valley at a height of 98 feet (30 m). 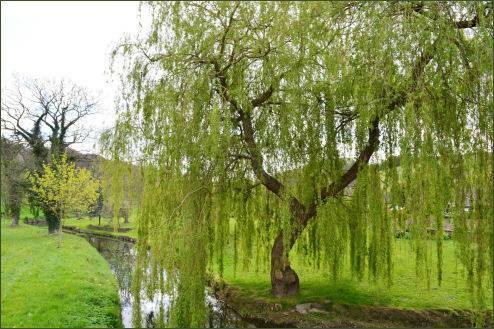 Brockadale Nature Reserve is a wildlife area about two kilometres long that covers much of the valley eastwards between the villages of Wentbridge and the Smeatons.